The Citrus fruits are on categories of fruits that are found in almost all parts of the world, and it might be possible that almost 80% of the world's population is eating citrus fruits. There also heath benefits of eating citrus fruits, they are also regarded as one of the healthiest fruits to include in our diet. The citrus fruits includes oranges, lemons, limes, grapefruits etc, and they are very rich in vitamin C, copper, calcium, thiamin, phosphorus, niacin, potassium and magnesium. Citrus fruits provides energy that can be easily absorbed by the body, and thus making it possible for the body to be refreshed instantly when exhausted. They help in the cell rejuvenating process and that is the reason why most of the energy has citrus flavours as one of their ingredients. Citrus fruits are low in calories which makes them ideal for weight loss and diabetic patients, Benefits of eating citrus fruits includes flushing out of toxins from the body. They achieve this by increasing the enzymes of the body, which stimulates the liver and detoxifies the body to keep it clean. They supports the liver in the cleansing process too. The health benefits of eating citrus fruits are numerous. They aid in digestion, prevent cardiovascular diseases, keep a check on body weight, improves blood circulation etc. 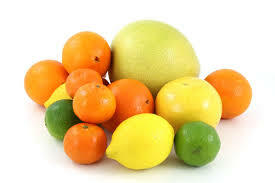 In this article, we shall be looking at 6 health benefits of eating citrus fruits. Read on to have an idea of what they are. Citrus fruits contains flavonoids and limonoids, which hinders the growth of cancer cells and tumours in the body. Increasing the intake of citrus fruits reduces the risk of acquiring any form of cancer. The antioxidants present in citrus fruits counteract free radicals and provide protection against heart diseases. It also lowers the risk of heart burn, cardiovascular diseases, stroke and hypertension. Another benefits of eating citrus fruits is that it improves the blood flow into arteries, thereby preventing blood clots in the body. It oxidizes bad cholesterol and prevents artery plaques. The additionally destroys calcium deposits in the pancreas and arteries. Eating citrus fruits helps in removing the mucous from the back of your throat, and it provides instant relief for sore throat. It heals the sore throat effectively. Simply drinking a glass of orange juice, aids in digestion. It also prevents nausea and morning sickness especially in pregnant women. It is recommended to either eat the orange fruit as a whole or drink orange juice so as to speed up the digestion process. This is the reason why most people craves for more food when they consume oranges. In conclusion, the 6th health benefit of eating citrus fruits we are looking at today is that it aids in weight loss if consumed in the morning. It regulates the blood sugar level. This makes it an ideal fruit to be taken by diabetic patients as well.